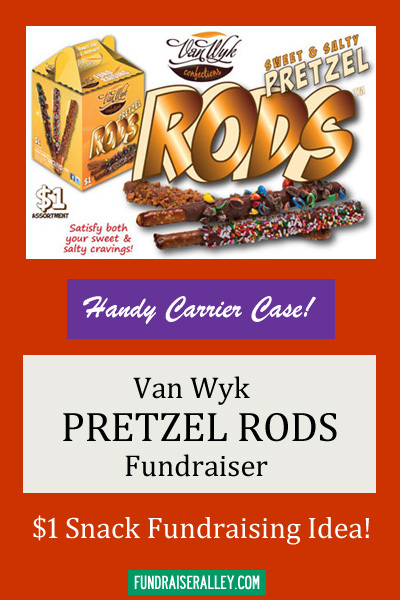 These Pretzel Rod Snacks, by Van Wyk, are a favorite fundraising product. A popular choice for schools, clubs, and non-profit groups. 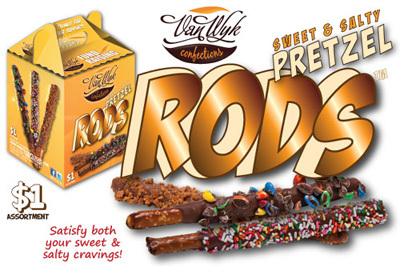 The salty pretzel rods are coated in chocolate and rolled in various sweet candy toppings, including candy coated chocolate chunks, crunchy toffee, peanut butter crunch, and rainbow sprinkles. Who could resist buying one or more of these? Be sure and order plenty, and you can earn up to 50% profit. Each case has 4 of the handy carrier kits, and each kit has 60 pretzel rods (15 each of the 4 different flavors). The best part is…SHIPPING is FREE! Who can ask for more? The Pretzel Rod Fundraiser will earn from 40% to 50% profit. Price per case decreases with the number of cases ordered, meaning your net profit will increase if you order more cases. Each case can net up to $120. Order at least one carrier kit per participant. If you’re close to the next level, we recommend that you order high to take advantage of the lower cost per case. The selling price is so low, and these pretzel rods are so yummy, you won’t have any trouble making sales. Pretzel Rods are a fun fundraising product idea for schools, sports teams, churches, or any group or club. Everyone will love to buy one of these sweet and salty pretzels with the yummy coating on the outside. The price is small, only $1 each, for the customer, but will amount to a lot for you. Sell at school, pep rallies, or sports events. Be sure to offer them at your concession stand. 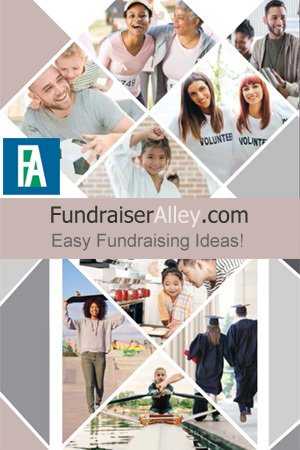 Set your goal, and use a fundraising thermometer to show how far you’ve come, and how far you need to go!